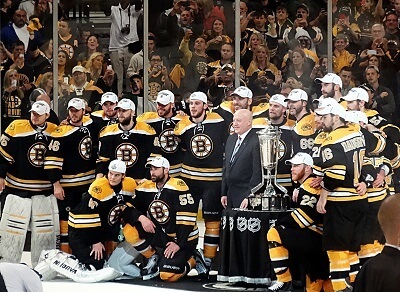 Get notified when Boston Bruins tickets are available! Founded in 1924, the Boston Bruins are the third oldest professional hockey team in the United States that still plays in the National Hockey League today. To watch the Boston Bruins play on home ice, you need to head to the TD Garden, which is located near North Station in downtown Boston. The arena opened in 1995, and is commonly called the New Boston Garden or The New Garden after the original home of the Boston Bruins, the Boston Garden. The spacious complex can hold more than 17,000 fans for hockey games. You can get your Boston Bruins tickets for an upcoming game using the links above.